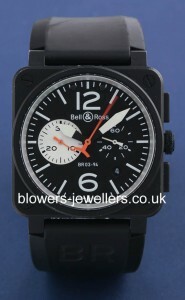 Founded in 1992 by Bruno Belamich and Carlos Rosillo, Bell & Ross began by producing watches exclusively for military and professional use. They started selling timepieces to the general public two years later. 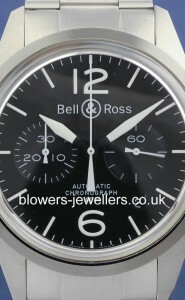 Today, working out of their production facility in La Chaux-de-Fonds, popular Bell & Ross collections include BR, Vintage, Compass, Radar, and Militaire. 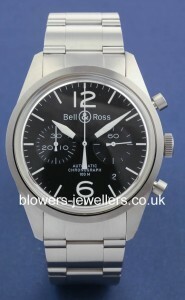 Browse Blowers’ range of unused and used Bell & Ross watches. 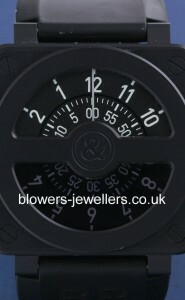 Our watches come with a minimum one-year guarantee. Finance available. 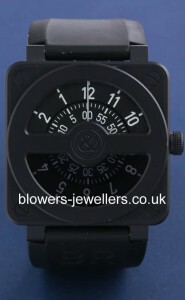 All watches on our website can be viewed by appointment at our London office in Mayfair, or at our Kingston upon Hull boutique.